It has been our pleasure to work with you and we look forward to continuing to provide you with the best marketing and web design services for many years to come. 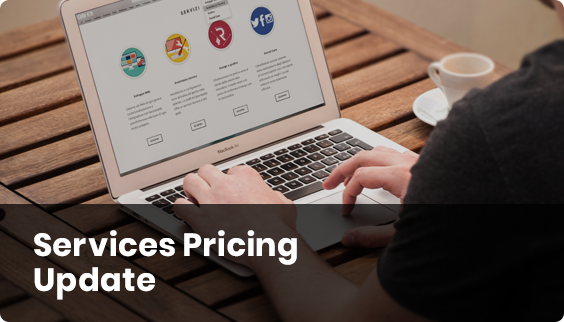 Due to wage increases in Los Angeles and the cost to keep up with the latest trends in digital media, design and hiring the best talent, it has become necessary for us to raise the prices for our services. Effective January 1st, 2018 all prices will be going up 10-15%. * Any ongoing projects will remain the same until completion. Current and SEO maintenance packages will remain the same. We appreciate your business and value any comments or concerns you may have. Please feel free to reach out to us should you have any further questions or need additional information.